I'm always buying new things and running out of space to store them. Sound familiar? Keep reading unless you store all of your clothes ironed!! My newest thing that I have done to create more hanging space is fold my maxi dresses. Why? Well I hung them on clippy hangers as I folded them in quarters which meant that I couldn't store them ironed due to creasing. The dresses took up almost 50% of the hanging space on the rail, not a good idea. Now, it takes up about 10% of the hanging space thanks to a shoe organiser. These organisers are fantastic as you can get creative as to what you store in them. I have stored some of my lounge wear and shorts in the bottom compartments as I even had empty slots. Now, that's what I call creating space. The shoe organiser was under £4 from The Range. 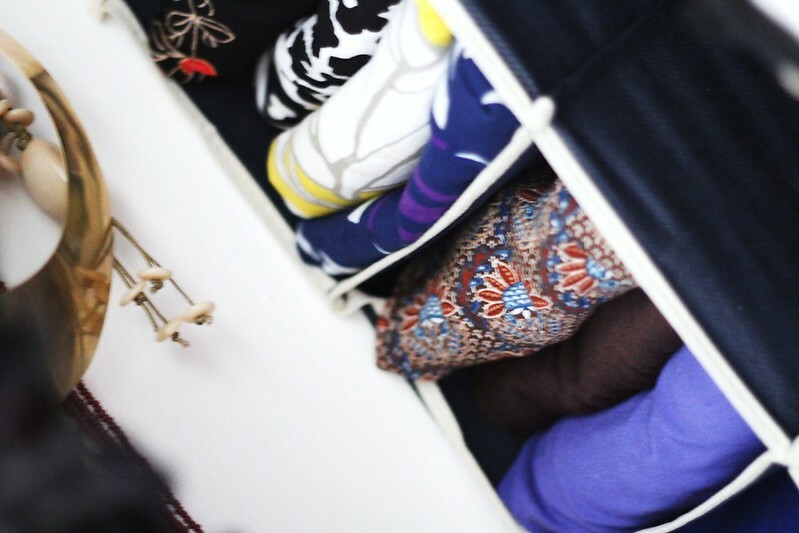 Can you think of any other ways top create more hanging space and what do you store in your shoe organisers? I was actually just going to throw mine out since I rearranged my closet but that is a great Idea! Thanks! such a good idea, running out of space in my wardrobe! 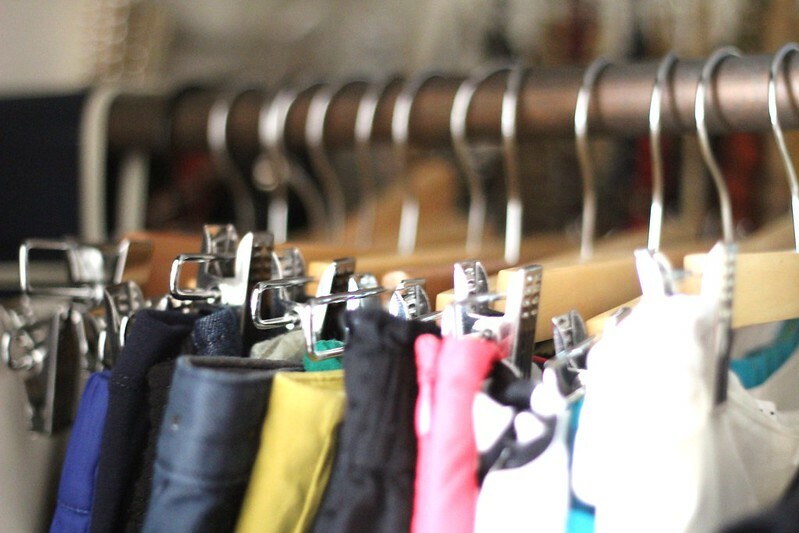 I'm always looking for ways to maximize my closet space. 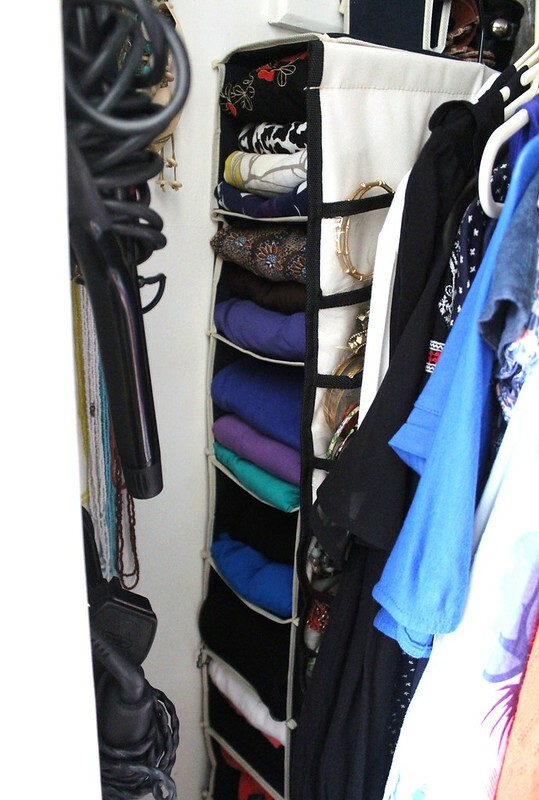 I use those organizers for basics (tshirts, undershirts, etc.) and for shorts and lounge pants. They are perfect space savers! ınan sana dolabımın resmını atıcam.bayılıyorum senın duzenıne:) Senden ıkeadan dolap ıcı cozumlemelerınden nasıl yerlestırırdın dıye fıkır almak ıstıyorum. I use vacuumed packed bag to store my out winter clothes as jumpers are so thick! I fold my pants in a drawer because I think it is to much of a hassel to hang. Thanks for the tip! I started storing stuff in bins under my bed. Really created a lot more room in the closet. These are great ideas you have. Well, my closet is a disaster. A few years ago, we had a leak and so my ceiling is all messed up. Don't ask me why we haven't gotten it fixed. Anyway, I am terrified of bugs and I haven't been in my closet in about a year, because I am afraid there will be bugs, because my ceiling has a giant hole in it. I need to get in there though and get it cleaned up. I really love this idea. Definitely something I'm going to look into. This is going to be a summer project, I'm really not looking forward to it. Brilliant idea! I have the tiniest wardrobe don't know what my parents were thinking. Love this idea! I have little space in comparison to the amount of clothes, shoes etc I have, but I find the hanging organisers are brill! I love IKEA for them, they have some brilliant bargains for things like this! i really love the idea! hi, i'm your new follower..